One of the best parts about having Sammy in town is not only being reunited with my best friend (that I hadn't seen in two years!! 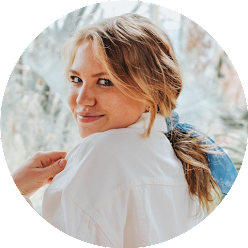 ), but also being able to do all of my favorite blogging things with her and Caroline, and doing them together instead of alone or just the two of us makes everything triple the fun. On both Sunday and Monday we admittedly stayed in our pajamas until noon and then finally got around to getting something to eat. On Sunday we brunched, but Monday we made a quick trip to the grocery store to return for breakfast and blogging "in bed" (aka, the couch). 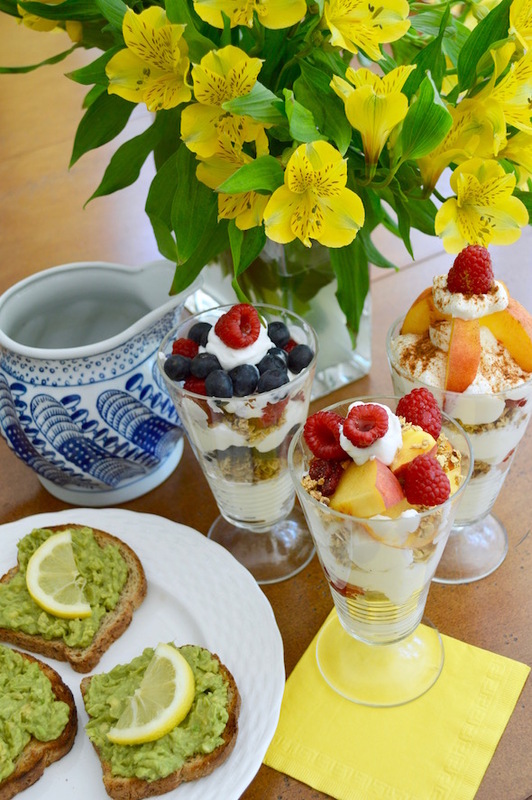 Something about giant yogurt parfaits and avocado toast always is so satisfying, especially on a sunny summer morning with your BFFs. 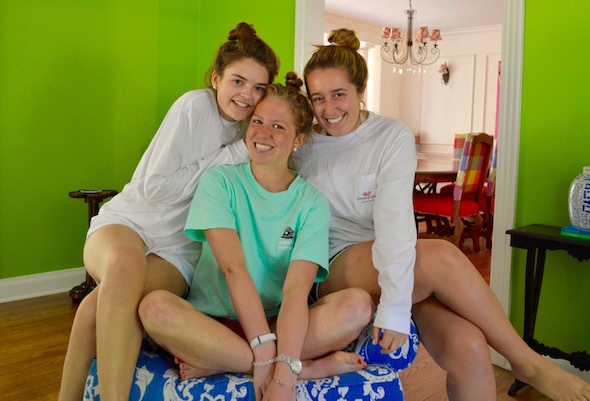 And, staying in pajamas, or what we like to call our "preppy homeless" attire, make for a fun change from the typical process of getting dressed up and going out. Our morning menu, as mentioned, included deliciously large layered yogurt parfaits and my personal favorite, avocado toast. 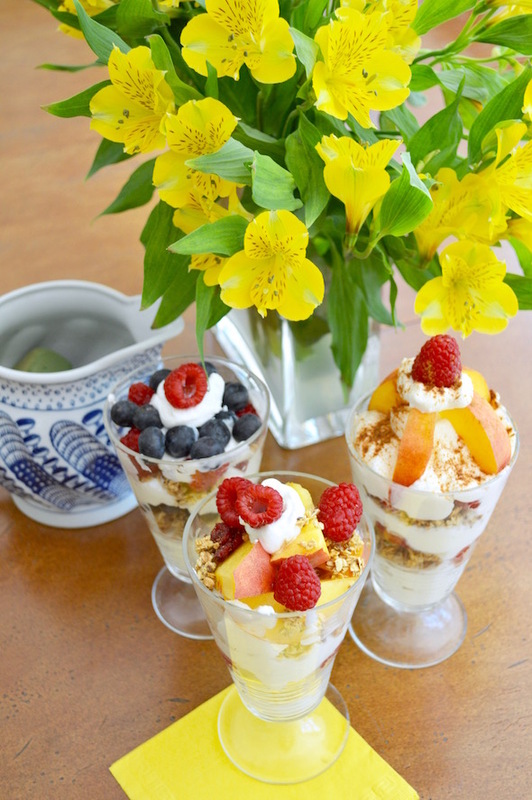 We layered our parfaits with Fage 0% plain greek yogurt (my favorite kind of greek yogurt because it's super thick and there isn't any added sugar), Kashi Cranberry granola which I had never tried but ended up being delicious, and lots of berries and cinnamon. 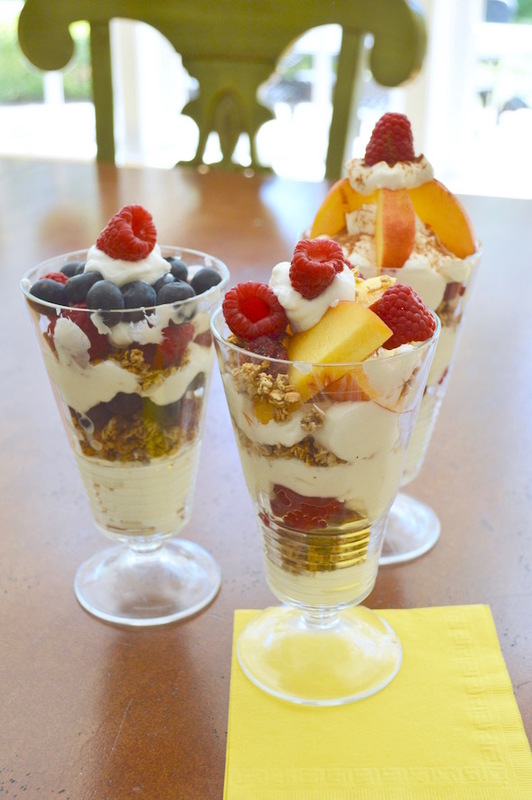 It's all about the ratios // Organize your parfait in layers and add a little bit of everything in each layer. Start with the yogurt, but not too much! // What goes in the bottom is going to be the hardest to reach, and the last bite, so you'll want to make it tasty knowing you probably won't be able to stir that part all up. If you add too much yogurt in at the bottom you'll be left with all yogurt and no yummy toppings at the end. 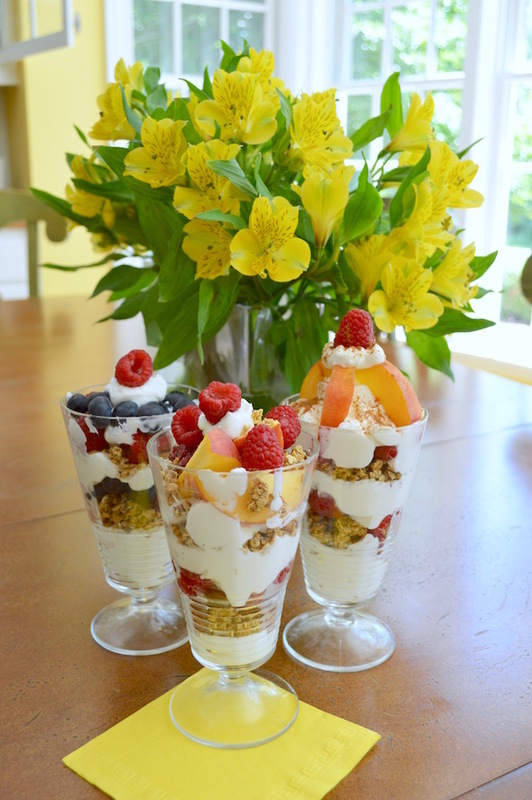 Add something unexpected... // Greek yogurt, granola and berries are of course the base recipe for perfection, but adding cinnamon was a little unexpected and an addition so delicious I wouldn't have wanted to enjoy my parfait without it! You could also try honey for added sweetness, lemon zest for a citrusy twist, or slivered almonds for even more crunch. 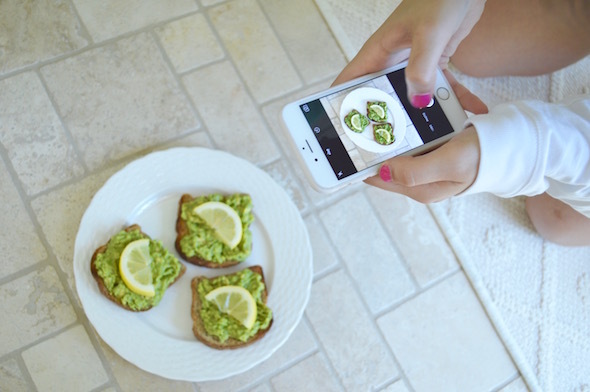 I also whipped up another avocado toast creation, but used a few different ingredients this time around. In honor of making it at Caroline's house, I added a citrusy touch into the mix: lots of lemon! 1. Mash up two ripe avocados in a bowl, but don't overmash as the stirring to follow will contribute to that. 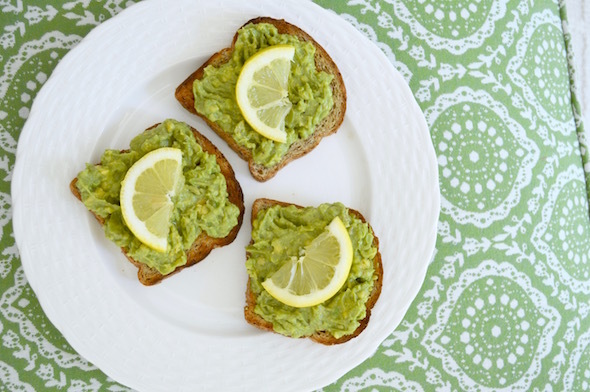 Mix up the mash until all ingredients are distributed evenly, and use a spoon or fork to spread over your toast. Garnish with a lemon and you're done! This breakfast was honestly so delicious and seriously easy- no cooking or baking involved! 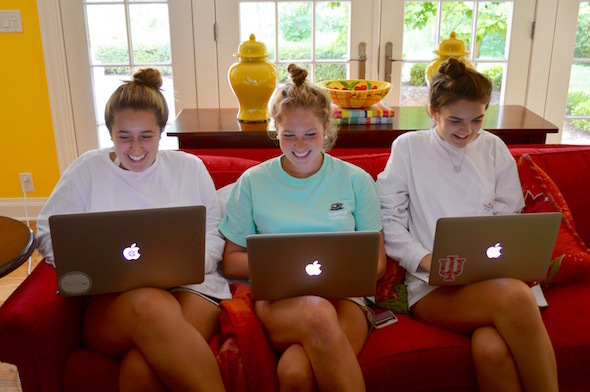 We spent the following few hours before Sammy had to get on her plane home blogging and just hanging out together in our pajamas... The whole time she was here was the best and I miss her way too much already!!! 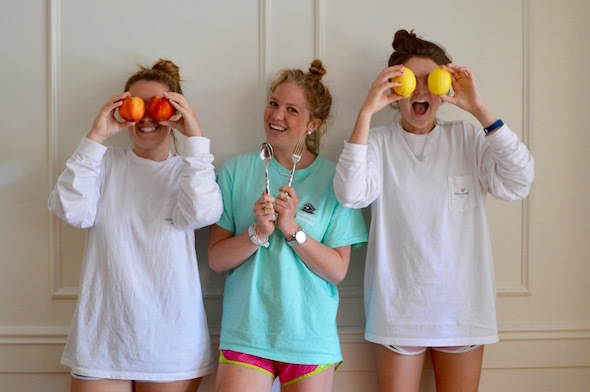 How do you do lazy morning breakfast with your BFFs? Make sure to read Sammy and Caroline's posts on their blogs today too. Aw, so cute! That breakfast looks delish! Looks like you girls had fun!